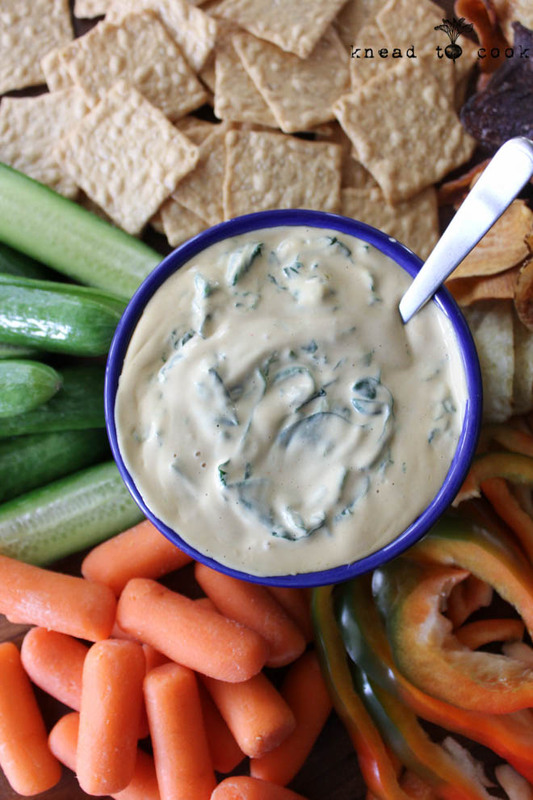 This dip uses Silk Cashew Milk (unsweetened) for a great creamy texture. 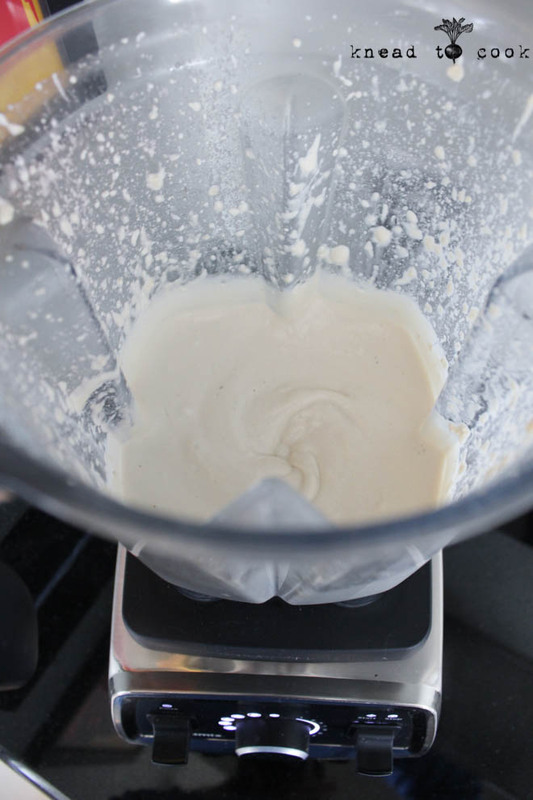 It will be a thick consistency but creamy. In the meantime, I cook the spinach down in a pan with a tiny bit of olive oil. This should only take a minute or two. 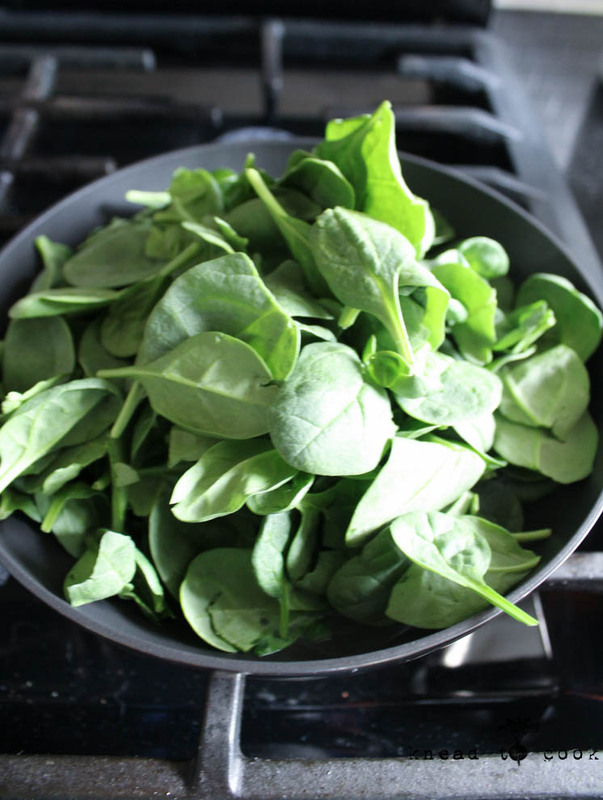 Then place in a strainer and push the water out of the spinach. This should take a few good pushes with the back of a spoon. Amazingly, a ton of water will be removed. 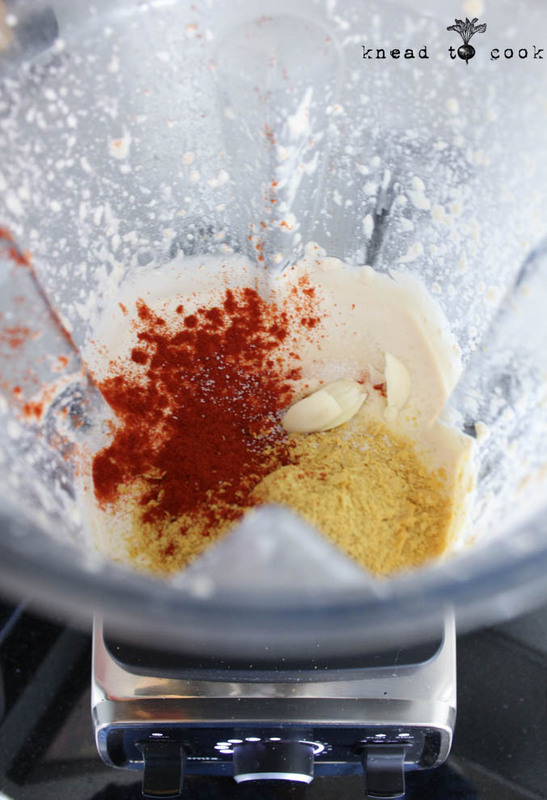 To your blender, add the nutritional yeast, garlic, paprika and a pinch of salt and pepper (add more salt after the mixture is blended). Once you have the base ready and seasoned to your liking pour that into a serving bowl and hand-blend the spinach in with a spoon. 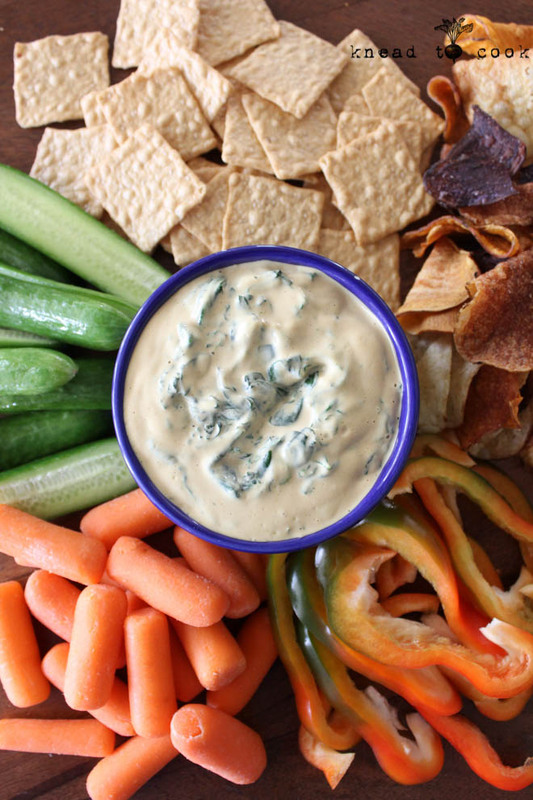 Serve with crackers, raw veggies, veggie chips, pretzels, baguette of bread or whatever you prefer. 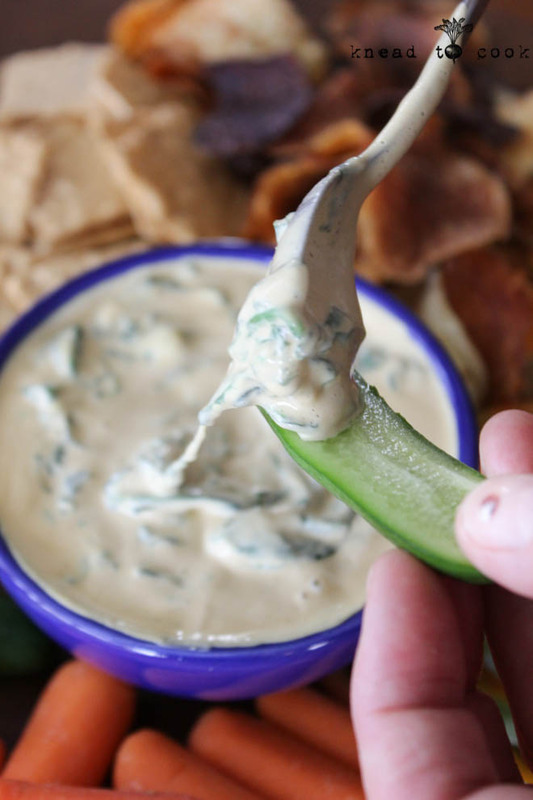 Being dairy-free, this is a dip perfect for your football watching party as you don’t need to worry about temperature. Honestly people will eat it so quickly, that won’t be a concern. Looking for more sidelining meat recipes for your next gathering click here. I think I’ll be trying this sauce/dip over some elbow pasta (gluten free) as a cheesy sauce for dinner for another option. Thinking Meatless Monday with added protein without meat.